Call 1-800FASTBED - Beds Long Island,New York any size bed, twin, full, queen, king size, at factory direct prices.We discount Name brand mattresses and beds save up to 50% off department store prices. 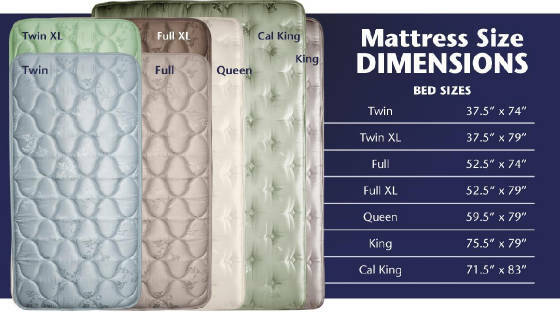 Serta, Simmons, King Koil and more. Serving Long Island, Nassau County, New York, Brooklyn, Queens, Westchester, Bronx, Suffolk County, The Hamptons, New Jersey. Call now for a price quote we'll save you money guaranteed. What are the standard dimensions of beds? Beds typically come in four sizes: Twin, Double (or full), Queen, and King. Full ("double") 53" x 75"
Twin beds are 37.5 inches wide, and 74 inches long. Twin beds are great beds fors for company, bunk beds, hirisers, daybeds, students and take up less space a twin mattress sleeps one person also called a single bed. Sometimes still called "double," full beds are 53 inches wide, which is just 15 inches wider than a twin size (single). Parents are increasingly choosing full-size over twin for teenage bedrooms. Parents are even making this choice for younger children in to give themselves a more comfortable place to rest when reading together at tuck-in time. A queen bed is 60 inches wide by approximately 80 inches long – 6 inches wider and 5 inches longer than a full-size mattress. These added inches can make all the difference in comfort, especially for couples, and have made the queen today's most popular mattress size. However, with 30 inches of personal space, each adult still has 9 inches less width than if they slept alone in a twin bed. 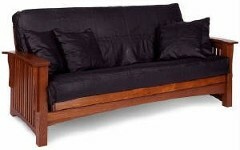 Queen size is a good choice for guest rooms, smaller master bedrooms and for couples who prefer close quarters. It's also a great choice for single sleepers who are also "sprawlers." These are 76 inches wide by approximately 80 inches long – about 18 inches wider than a queen. This is the closest a couple can come to having as much personal space (38 inches) as each would have on a twin bed. In fact, two twin extra-long beds pushed together are about the same size, an option that can offer a flexible arrangement for a guest room. For consumers on the west coast, there is also the "California King," which is 72 inches wide by 84 inches long – 4 inches narrower and 4 inches longer than a regular king.